Keep the term "Honour Killing". Campaigners fought long and hard to get the term honour crimes recognised as a different form of abuse experienced by women within minority communities. Honour killings are different to domestic homicide, in the same way as domestic homicides are different to murder. I'm sure it needs no explanations. House of Commons Speaker John Bercow has said he would be "strongly opposed" to US President Donald Trump addressing the Houses of Parliament during his state visit to the UK. Mr Bercow told MPs that "opposition to racism and sexism" were "hugely important considerations". Rights campaigner Peter Tatchell said the pardon was an "important, valuable advance that will remedy the grave injustices suffered by many of the estimated 50,000 to 100,000 men who were convicted under discriminatory anti-gay laws". But he said it was "unclear" whether only the relatives of a deceased man could apply for a pardon on their behalf. "Many convicted men were rejected and disowned by their families," he said. "The government should make it clear that any concerned person, including personal friends, can apply for a pardon for a deceased person." Shared b/c Yvette Cooper's contribution. Also, I still have that petition open in a tab. It makes me happy to see the numbers go up. Although as someone pointed out, they should let Trump meet Prince Charles, just for the sake of talking climate change!! 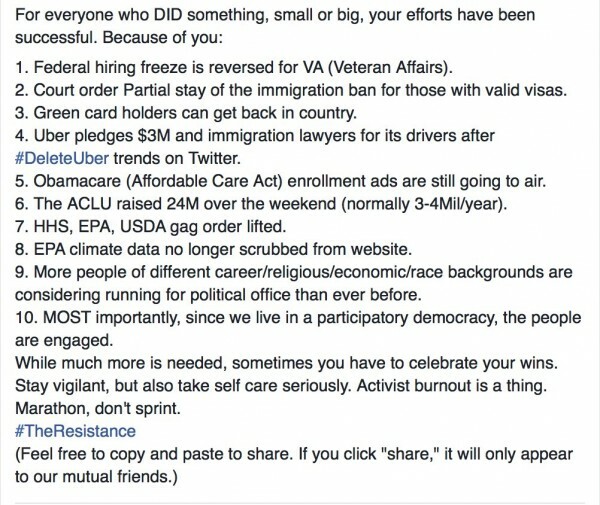 READ THIS OMG: The protests absolutely make a difference. CNN: As of midday Tuesday, Trump has been named in 42 federal lawsuits since his inauguration. Check it out. Trust me, you will not be disappointed. At this moment of posting (9.39pm) it stands at 726,570 signatures. I doubt it will have any effect on anything, but at least it's a good way to show that We The People are not on board with Theresa May's 'love-in'. The Governor of Washington just declared Donald Trump an enemy of the United States.This is powerful. Whatever you can say, 2017 isn't boring. Icons - Women's March, Wonder Woman and more! ETA: Yes, I know there is also a march in Antarctica. There are now sister marches in 60 countries on seven continents.